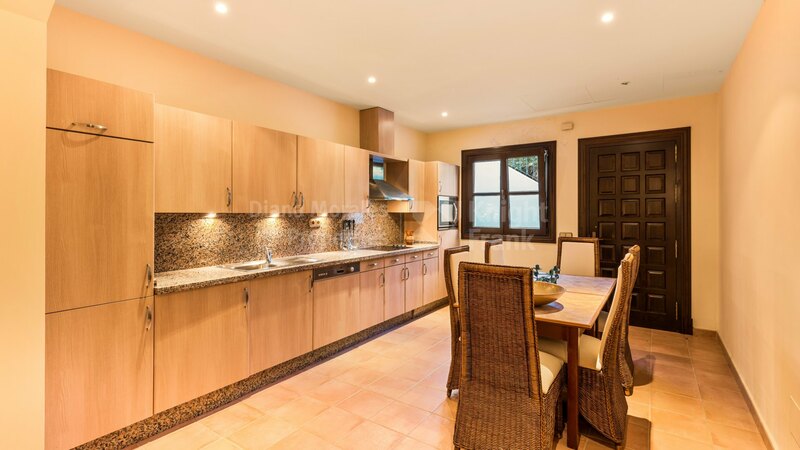 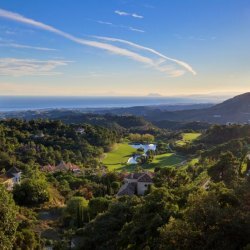 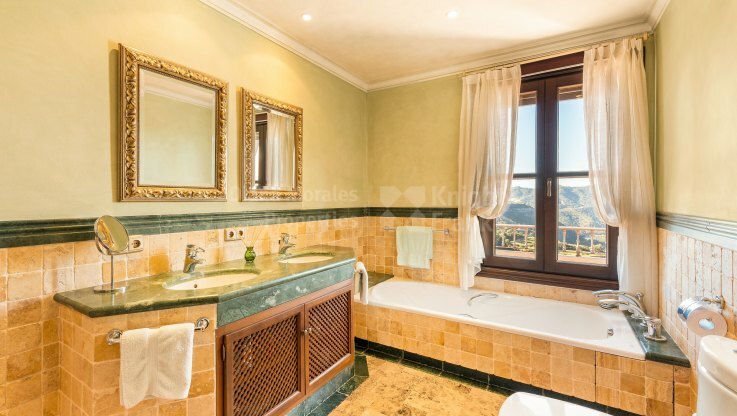 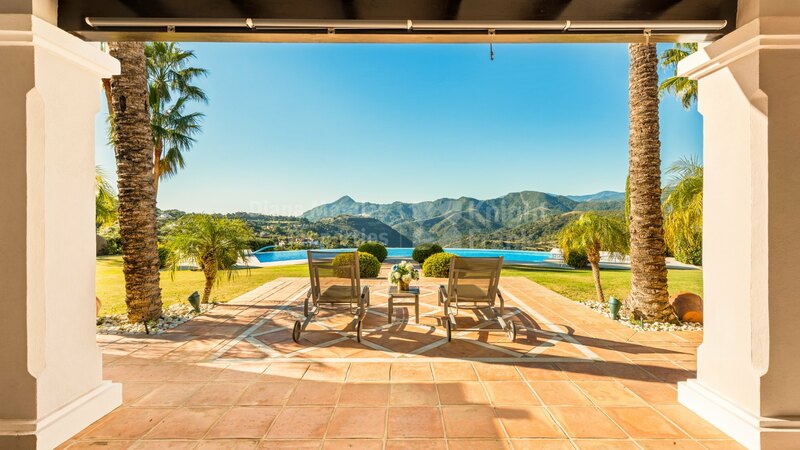 Please, send me more information about ref DM2021 in La Zagaleta, Benahavis or similar properties. 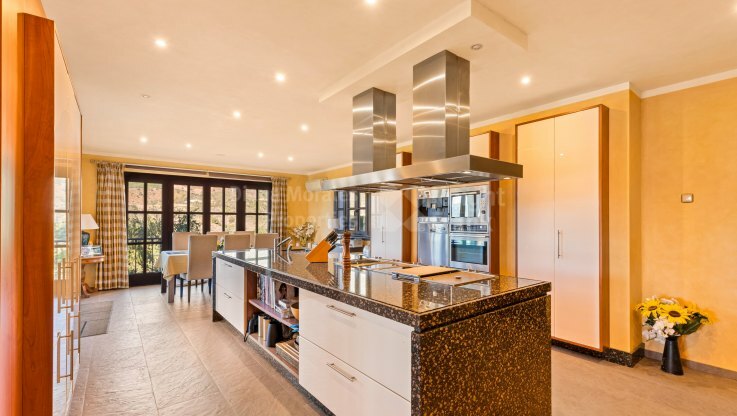 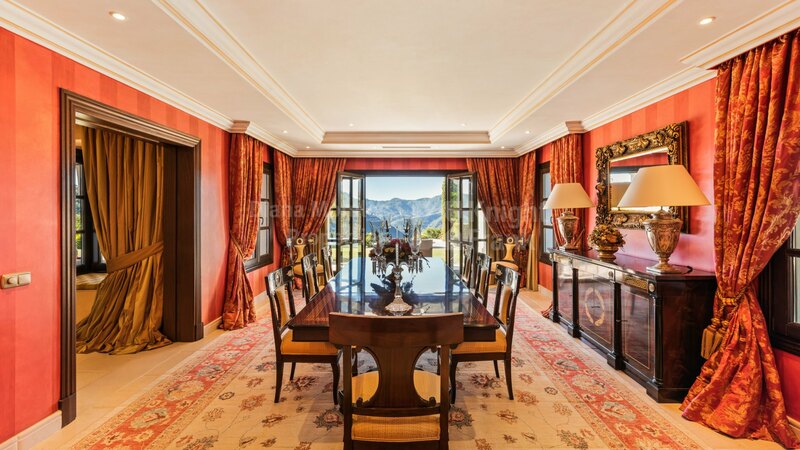 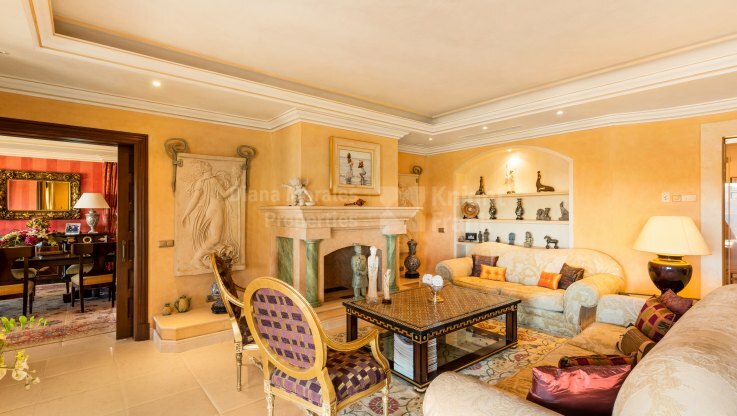 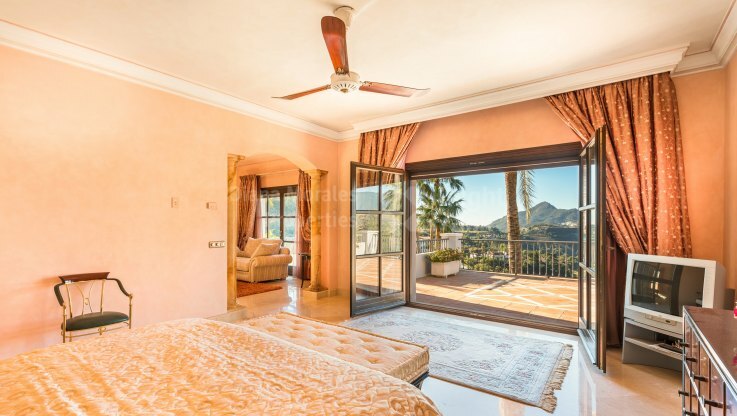 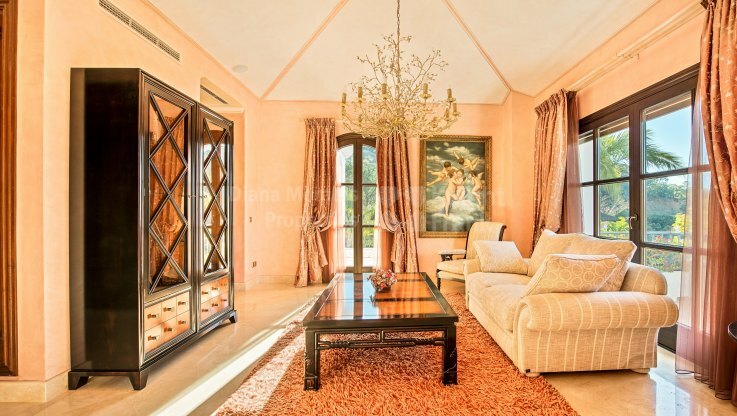 Perfection awaits the discerning buyer at this five bedroom Andalusian villa overlooking 6 holes of the prestigious golf course of La Zagaleta and situated within a meticulously manicured garden with an infinity swimming pool. The magnificent home boasts a grand two storey entry with fine mouldings, a powder room, a great lounge with a fireplace, a gourmet eat-in kitchen with centre island and top of the line appliances, a bar with sitting room, and a guest bedroom suite with cupboards with aged and brown marbled bathroom. 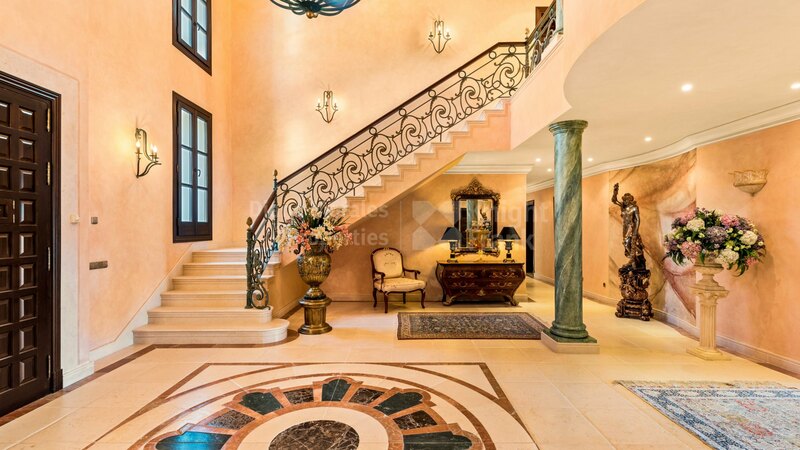 The staircase to the upper floor features built in niches, wrought iron balustrade and decorative paintings. 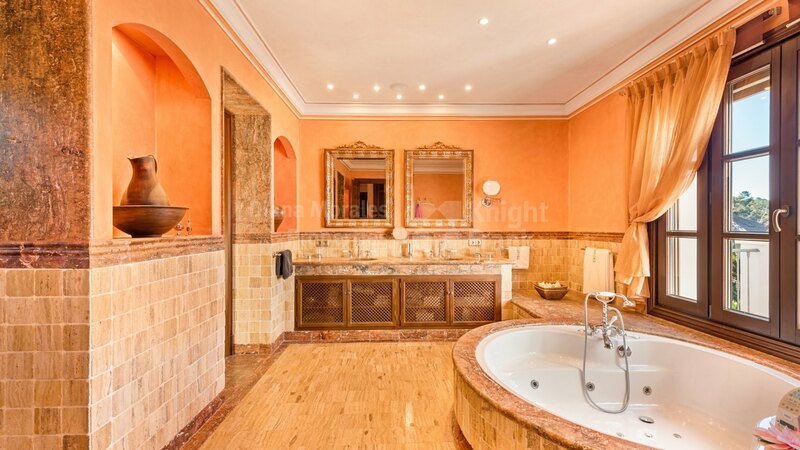 There are three bedrooms, one is the master with his and hers dressing areas, a sitting area, vaulted ceiling, and master bathroom with Travertine marble, and the other two have en suite bathroom with Anticato marble. 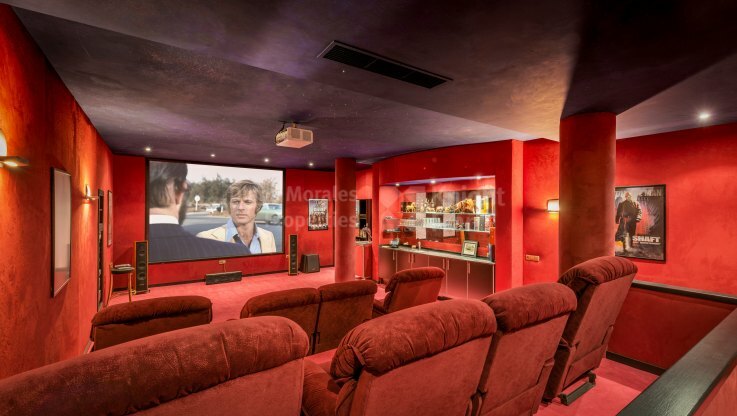 The basement has a garage for six cars, an ample store room, two water reservoirs, wine cellar, a billiard room, a cinema room, a gym with parquet floor, and sauna with shower and toilet. 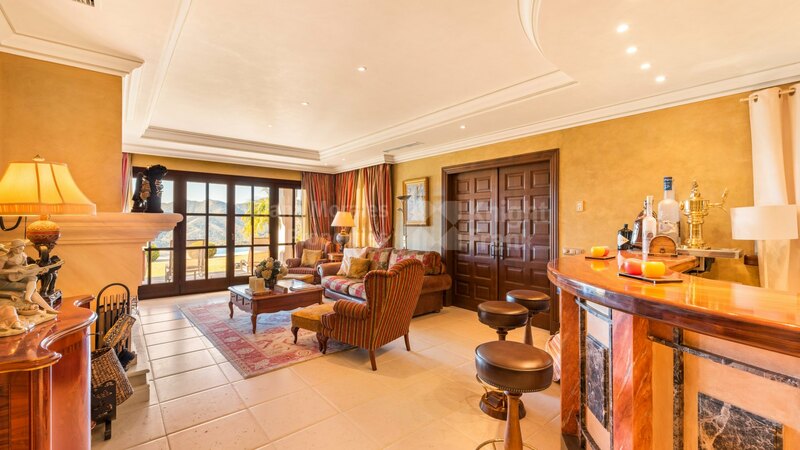 There is also a guest apartment with separate entrance, a sitting room with open plan kitchen, a bedroom, and a shower room. The outdoor swimming pool has heating pre-installation.